Does the Bible Say Anyting about Having Priests in the Church? Yes it does. God told his people through the mouth of Jeremiah, “I will give you shepherds after my own heart who will feed you with knowledge and understanding” (Jer 3:15). It was through His holy priesthood that God guided his people and provided for their worship and holiness both in the Old Testament and in the New Testament. In the Old Testament, there was the high priest (Aaron, cf. Exo 28:3), the ministerial priests (Aaron’s sons, cf. Exo 28:40-41), and the universal priests (Israel, cf. Exo 19:6). The New Testament priesthood also has three offices: High Priest (Jesus Christ, cf. Heb 2:17; 3:1), ministerial priests (the ordained bishops and priests, cf. Rom 15:16; 1 Tim 3:1,8; 5:17; Titus 1:7), and the universal priests (all the faithful, cf. 1 Pet. 2:5,9; Rev. 1:6). The whole of salvation history evidences this hierarchy within the People of God. Note that there is a high priest and a ministerial priesthood, but there is also a universal priesthood. In other words, Catholics affirm a universal, or a “spiritual” priesthood just like Protestants do. The Church teaches that we are all incorporated into the priestly office of Christ upon our baptism. We are all priests, called “to offer spiritual sacrifices acceptable to God through Jesus Christ” (1 Pet 2:5). But, the Church also believes that, from among these people, Jesus Christ calls certain individuals to make His authority, His priesthood, His very Person present in the Church in a more profound way. These individuals make up the ministerial priesthood, those special men who God has called to make the sacraments available to us and to “feed” and “tend” the flock of the Lord (Jn 21:15-17). In Scripture, we are commanded to obey these “elders” (Gk. presbuteros, or "priests") of the church (cf. 1 Thes 5:12-13; 1 Tim 5:17; 13:7,17; 1 Pet 5:5), and those who reject their authority are looked down upon and judged harshly (cf. 2 Pet 2:10-12; 1 Jn 4:6; 3 Jn 1:9-11; Jude 1:8-11). After all, God says of his priest, “men should seek instruction from his mouth, for he is the messenger of the LORD of hosts” (Mal 2:7). Bishop Fulton J. Sheen on "What's My Line?" This video is such a joy to watch! Fulton Sheen is in his element here, showing his great sense of humor and ability to laugh. I am particularly blown away by the profound respect that everyone has for him. The crowd gives him a hearty applause when he is revealed as the mystery guest. The host of the show calls him, "Your Excellency" and tells the great bishop how thankful he is that Sheen is on ABC. He breaks the rules and gives Sheen's cause the maximum amount of money, promising to "add some more to it" as well. The panel is eager to shake his hand and the last lady even kisses his hand. Such a scene is certainly far removed from our current cultural situation, which makes this video a welcome reprieve. Does the Bible say anything about the Sacrament of the Anointing of the Sick? In both cases, the apostles and elders of the Church heal by anointing the sick with oil, which is what takes place in our sacrament. Paul healed a man of fever and dysentery by laying his hands on the sick man (cf. Acts 28:8), which is an important part of the sacrament as well. The fact is, “many signs and wonders were done among the people by the hands of the apostles” (Acts 5:12), and one of these was the power to heal the sick (cf. Acts 5:15-16; 8:7; 19:11-12). Note however that the benefit is not always physical. Since God does not always desire that we be cured of our infirmities, He also gave the apostles the power to strengthen the sick spiritually. So, we often see that, along with physical healings was also the casting out of demons (cf. Mk 6:13; Acts 5:16; 8:7) and the forgiveness of sins (Jas 5:14-15). 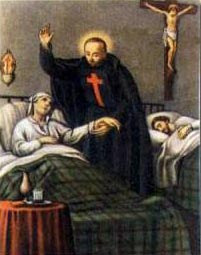 Similarly, in the sacrament, the sick person may not be physically healed by the action of the priest, but he is always given the grace to persevere with courage, to unite his pain with that of our crucified Lord, and to resist the devil, who tempts us in our deepest suffering to renounce our faith in God. The Sacrament of the Anointing of the Sick is an amazing gift to anyone, young or old, who begins to be in danger of death. True or False? The Eucharist is also called Holy Mass because it concludes with the sending forth of the faithful to fulfill God's will in their lives. What do you think? Vote in the poll in the sidebar. True or False? : In the Eucharist we raise ourselves above concern with the material order of creation in order to maintain a spiritual union with the Father. False, cf. CCC no. 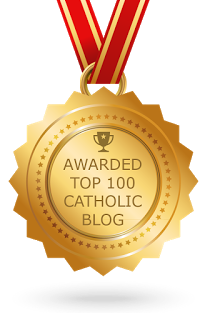 1359: The Eucharist, the sacrament of our salvation accomplished by Christ on the cross, is also a sacrifice of praise in thanksgiving for the work of creation. In the Eucharistic sacrifice the whole of creation loved by God is presented to the Father through the death and the Resurrection of Christ. Through Christ the Church can offer the sacrifice of praise in thanksgiving for all that God has made good, beautiful, and just in creation and in humanity. The paragraph from the Catechism that is cited here doesn't really seem to answer the question, in my opinion. I too would have said, "False" ... but for a different reason. Instead of "rising above concern for the material order," the Eucharist is actually what strengthens us and spurs us on to go out and feed the poor, clothe the naked ... in other words, to do those charitable works that provide for the material needs of others. The Eucharist is a call to address the "material order," to bring about justice within it, not to "rise above it" or neglect it. Does that make sense? Let me know.